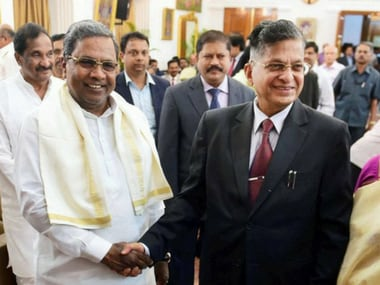 Karnataka Lokayukta P Vishwanatha Shetty was stabbed multiple times in his Bengaluru office on Wednesday, laying bare a major security loophole in the ombudsman's office. Shetty, in his early 70s, was rushed to Mallya Hospital and is prima facie stated to be out of danger. The perpetrator was a man named Tejas Sharma, who went to his office with a complaint only to be told that the case was shut, officials said. Sharma was arrested, after he rushed to the hospital to enquire about Shetty's condition. Sharma, who had filed a complaint with the Lokayukta about not getting a tender for a work he had applied for, went to his chamber and stabbed him at three or four places. He was told by the Lokayukta office that the case was shut after an investigation. Shetty suffered serious injury on his abdomen, but was reportedly out of danger. "I have spoken to doctors regarding his treatment. 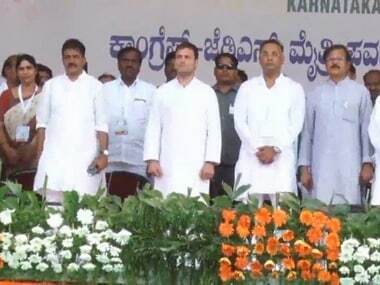 Doctors who are treating him have said prima facie he is out of danger," Chief Minister Siddaramaiah told reporters. The assailant came to the office saying he wanted to meet Shetty and after entering the chamber, stabbed the Lokayukta with a knife, Siddaramaiah said. "I was shown the weapon. The knife is big. It looks like he has attempted murder," he said. "I wish for his speedy recovery. Such a thing had never happened... I have instructed the DGP to investigate in detail... about his background and other things." 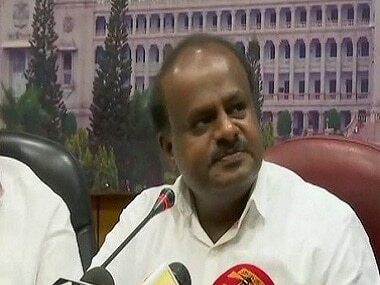 The chief minister said those who come to meet the Lokayukta are normally given a chit before being called in. "Several people come to meet us also; we won't know who has come with a weapon." A gunman was standing guard outside Shetty's chamber and the CCTV is also installed, Siddaramaiah said, adding, "... He did this inside the chamber." He said Sharma went alone inside the Lokayukta's chamber. Home Minister Ramalinga Reddy, citing initial information, had earlier said the assailant had claimed to be an advocate. Shetty took over as the state Lokayukta in January 2017 succeeding Y Bhaskar Rao, a former high court chief justice. Bengaluru Police Commissioner T Suneel Kumar said, "The accused has been taken into police custody and is being interrogated. It has been found that the accused had complained against 15-17 public servants in connection with supply of furniture. His allegations were not proved." Meanwhile, forensic department officials also inspected the car in which Justice Shetty was taken to Mallya Hospital while the Bengaluru Police cordoned off the Lokayukta office.The metal detector which was dysfunctional was switched off and no one is allowed to enter the premise, according to a ground report by 101 Reporters. While BJP MP BJP MP Shobha Karandlaje said Congress has weakened the Lokayukta, Union minister Ravi Shankar Prasad called the attack a serious issue of law and order. Eyewitness Jay Anna called out to Siddaramaiah government and said you can see what security the government has provided us. Union minister Prakash Javadekar wished the Lokayukta a speedy recovering while saying that no one is safe in Congress-ruled Karnataka.